Which tech company filed the most international patent applications last year? Apple? Samsung? IBM? No, no and no. Actually, it was Huawei that filed the most applications for international patents in 2014 according to the World Intellectual Property Organization (WIPO), an agency of the United Nations. Qualcomm had the second highest total of global patent applications last year. Following the chipmaker, Huawei rival ZTE was third. The latter had the top ranking for patent applications in 2012. Panasonic was on top of the list in 2014. While U.S. companies rang up the most applications overall last year, China was the only country to tally a double-digit increase. The Chinese government has helped the country shift from being a manufacturer of low-priced cheap goods to one where its tech companies routinely file a large number of patent requests. The government has also strengthened enforcement of IP theft in the country. Huawei has said that the 10% of revenue that it spends on R&D annually is much higher than the percentage budgeted by its rivals in China. Last month, the company revealed that it will end up spending $600 million from 2013 to 2018 on 5G technology. It plans to launch the network in 2020. Application and Granted are two different things. 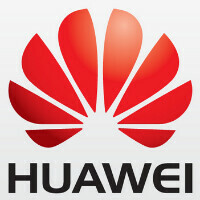 Huawei tops Patent Application, while IBM tops granted patents. Does it still confused you? @rd_nest : the keyword here is "international patents." IBM is #1 in the US. but who can blame them for not filing patents in the US? The US's biased jury system prevents foreign companies from enforcing their patents rights here -- just look at Apple v Samsung 2012 and 2014. According a study by Kim Moore, now an appellate court judge, domestic litigants are 2/3 more likely to win in jury trials vs equal chance of winning before bench trials. Love my Mate2...regardless of software version it has. Battery life & price sold me, and it flat works!